Now, as I'm finished with this book, I can't tell you how much I loved this pretty and how frustrated I am with myself that I didn't read it sooner. I've been having terrible luck with my previous books and the few books I read right after The Edge of Never haven't been that great either so this baby stands out like a bright star among the others. I don't even know how to begin to write a review for all the amazingness this book held in its gorgeous words and one of the best, if not THE best, road trips. It was truly amazing! The story. Camryn (love love love that name--original and doesn't get lost in the sea of all the names for different MC-s) has recently lost her boyfriend in a car accident. Her brother serves time in jail for killing a person with drunk-driving and her parents have divorced. You can say that life is definitely not the same for her. Soon she gets into a fight with her best friend and since there's nothing left for her, she grabs her backpack and gets on a bus to nowhere. During her busride to the destination of self-searching, she meets a stranger who pushes her buttons. Andrew Parrish is a gorgeous guy with so much life hidden behind his humorous, rough and snarky shield. They become unlikely allies on the road and friendship, love and heartache are in store for them as well as us. My thoughts. What I loved about this story the most was that it wasn't rushed. Everything happened when it was supposed to happen and it all felt so real and relatable thanks to that. It was such a refreshing book. We don't meet Andrew right away and it's a pretty long wait at that, however, we do get to spend time with Camryn and get to know her pretty well. She doesn't have any mysteries regarding her relationship with the readers. Everything's out there on the table and maybe even more refreshing and better due to it. We do have dual point of view, but there isn't Andrew's voice as much as Camryn's and I found it good because I wasn't expecting the ending AT ALL!!!! I was thoroughly surprised and taken aback and that's the reason it felt so raw and why my heart hurt so much. I liked how the relationship between Camryn and Andrew was slow-burn. They get to know each other carefully, but step by step the walls come down and the wounds start to heal. Music has a special place in this book and I liked it a lot. Music means everything to me. When I dance, think, rest--whatever I do, I have music with me almost always. It's a huge part of my life. I adored how Andrew helped Camryn face her fears and reach for her dreams and vice versa. I also loved the road trip. It was so enjoyable and made me want to drop everything and go on the road now. We have a great cast of secondary characters as well who all have their own stories. I absolutely LOVED this book. It was such a rush of emotions and I ugly-cried a bunch when the secret was revealed. I didn't see it coming and it was.. Oh boy, I feel my throat closing right now. It'll take me forever to get over that if ever. I cannot wait for the sequel. It could have worked perfectly as a stand-alone, but you won't hear me complaining about The Edge of Always. It will be perfect. Just like this pretty was. I know it! I can't believe I put this off so long. I'll purchase the paperback for sure, because it's just one of those books you want to re-read time and time again. The Edge of Never amazing, emotional and foremost inspirational. Yay! So glad you loved this one, Siiri. I didn't expect to love it as much as I did either, but it completely blew me away. I loved the slow burn romance as well. But I did think there was a little too much drama. However, the characters made up for it. I'm excited for the next book although I don't think it's necessary. Have you read Killing Sarai by this author yet? GORGEOUS REVIEW, SIIRI!! I was a little worried you wouldn't love TEoN as much as I did, but you did and your review does it absolute justice. 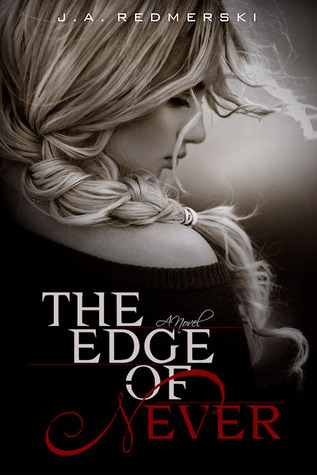 I am so excited for The Edge of Always too. Not much longer! It's nice that the MC doesn't have secrets that she hides from the readers. That was one trend that I'd seen in NA that I wasn't too found of. Also really nice that their relationship was slow-burn - one of my favorite types :D - and that there was extra on music. While I don't have as personal connection to music as it seems that you have, I still find passages with other arts like music to be inexorably beautiful. :) I hope the Edge of Always lives up to your expectations! I don't think I will be reading this book (not my cup of tea), but I do love the sound of the pacing. It's great when everything just feels right. Rushed stories can be so frustrating. And yeay for slow romance! :) I'm happy you loved it so much. Great review. The story sounds so good. Thanks for sharing your thoughts.